Heat oven to 375°F (350°F for dark or nonstick cooking sheet). 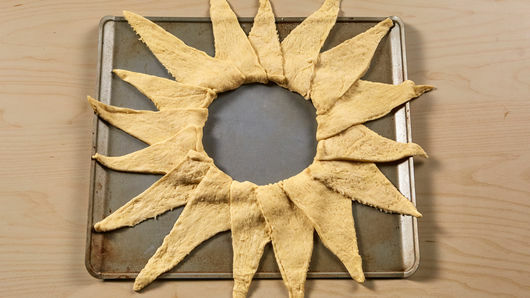 Unroll both cans of dough; separate into 16 triangles. 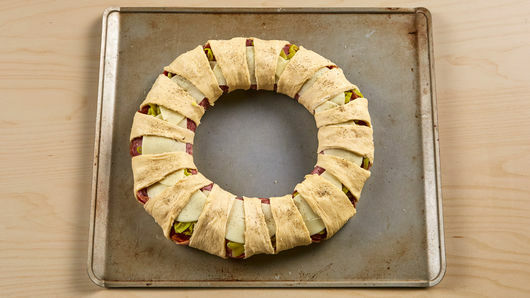 On ungreased large cookie sheet, arrange triangles in ring so short sides of triangles form a 5-inch circle in center. Dough will overlap. 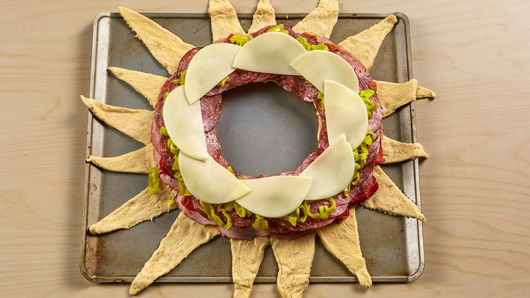 Dough ring should look like the sun. Place 8 cheese halves on the half of each triangle closest to center of ring. Top with ham. Top with roasted red bell peppers, salami and capocollo slices over ham. Arrange pepper rings over top. Cover with remaining 8 cheese halves. Bring each dough triangle up over filling, tucking dough under bottom layer of dough to secure it. Repeat around ring until entire filling is enclosed (some filling might show a little). Sprinkle with black pepper. Bake 23 to 28 minutes or until dough is golden brown and thoroughly baked. Cool 5 to 10 minutes before cutting into serving slices. To drain the roasted red bell peppers thoroughly, use a fine mesh strainer, then place on a few paper towels to absorb any extra moisture. 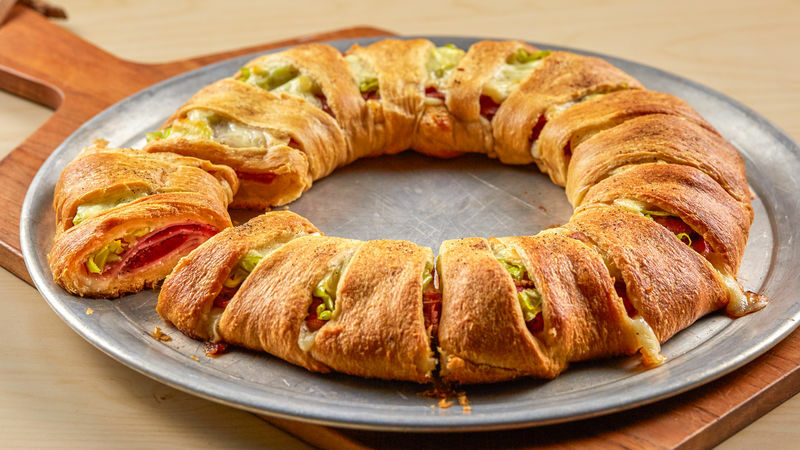 If you don’t like it spicy, switch out the deli meats for a milder flavor, and swap in some ripe olives instead of the hot pepper rings.